Best Treatments for Loose Skin on Neck and Jowls? The Precision TX Laser Face Lift: This revolutionary treatment provides all the results of a facelift – without going through an invasive surgery and extensive downtime. 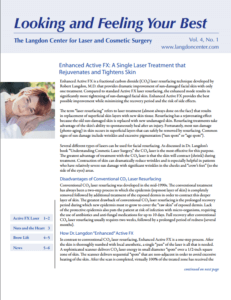 The Precision TX Laser helps improve both superficial wrinkling, as well as the sagging of deeper tissue. This can create long-term improvements, with results lasting anywhere from five to ten years! 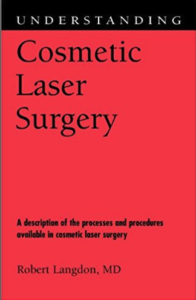 After numbing the lower cheeks and neck, Dr. Langdon will make tiny skin incisions, which allows the fiber optic to deliver the laser energy to every level of skin tissue. The laser liquefies fat cells and stimulates the production of collagen and elastin, which results in instant tightening. Most clients see a smoother contour of the neck, as well as a more defined jawline. The ExpresS Face Lift: This innovative face-lift procedure is designed to improve the most visible signs of aging to the face and neck, all while only requiring minimal incisions around the ears and hairline. The resulting scars are inconspicuous, and recovery is significantly faster than with traditional face lift procedures. The benefits of the ExpresS Face Lift include a smoother neck, reduced jowls, contoured jawline, and a more youthful appearance. If you’re unsure of which treatment you prefer, Dr. Langdon can help you make the best decision for your needs during your consultation. To learn more about treating loose skin and jowls, call 203-745-0340 today to schedule your consultation with Dr. Langdon at The Langdon Center in Guilford, CT.